There are no photos with those IDs or post 14316 does not have any attached images! The V edition of the Bagpipes Band Festival City of Cangas de Onís will be held on Saturday 3 in May. As this edition coincides with the first five years of life of the local Bagpipe Band, four days of activities have also been scheduled around what is considered to be the folklore event par excellence in the locality. From May 1 to 4, a tent will be installed in the central Plaza Camila Beceña that will host a exhibition allusive to the five years of existence of the band, exhibition stands and sale of articles related to music and the traditional culture and diverse talks, performances and live shows of artists who have already expressed their interest in participating. It will be counted on exhibitors of traditional clothing, jet, crafts, books and records of traditional Asturian themes, as well as luthiers and craftsmen who manufacture traditional instruments and associations linked to traditional dance or Asturian song. There will also be performances by dance groups, pandereteras, folk music groups, pipers, tune interpreters, talks and activities for all types of audiences, including children, for whom there is a day of traditional games. 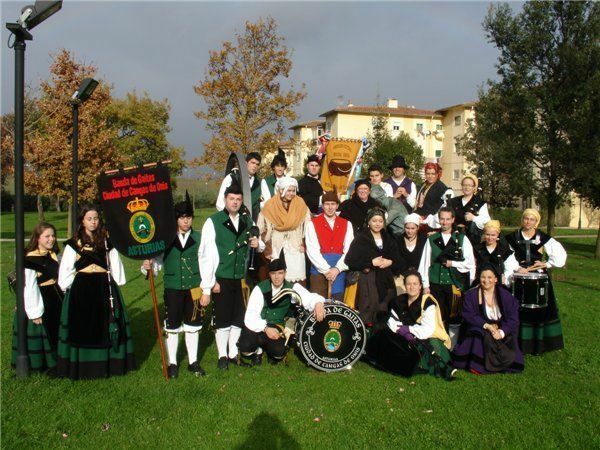 This edition of the festival will be dedicated to the piper teacher José Manuel Fernández "Guti" and will participate bands of bagpipes from Burela (Lugo), Cabrales, Siero and the band of bagpipes from Cangas de Onís, the host. The appointment will be from five in the afternoon at the Teatro Colón, where the gala will take place.